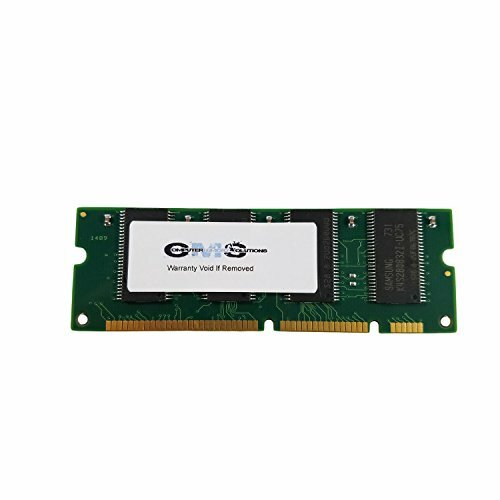 CMS brand, CMS is one of the most trusted names in the Computer Memory industry and this product carries a Lifetime Warranty from CMS. Compatible with HP Part Number: C7846A 1pc of 64MB 100-pin DIMM Compatible: HP LaserJet 1200 series, 1300 series, 2200 series, 2300 series, 2500 series, 3000 series, 3200 series, 3300 series, 4000 series, 4050 series, 4100 series, 4200 series, 4300 series, 5000 series, 5100 series, 8000 series, 8100 series, 8150 series, 9000 series. HP Color LaserJet 2500 series, 4500 series, 8500 series, 8550 series.